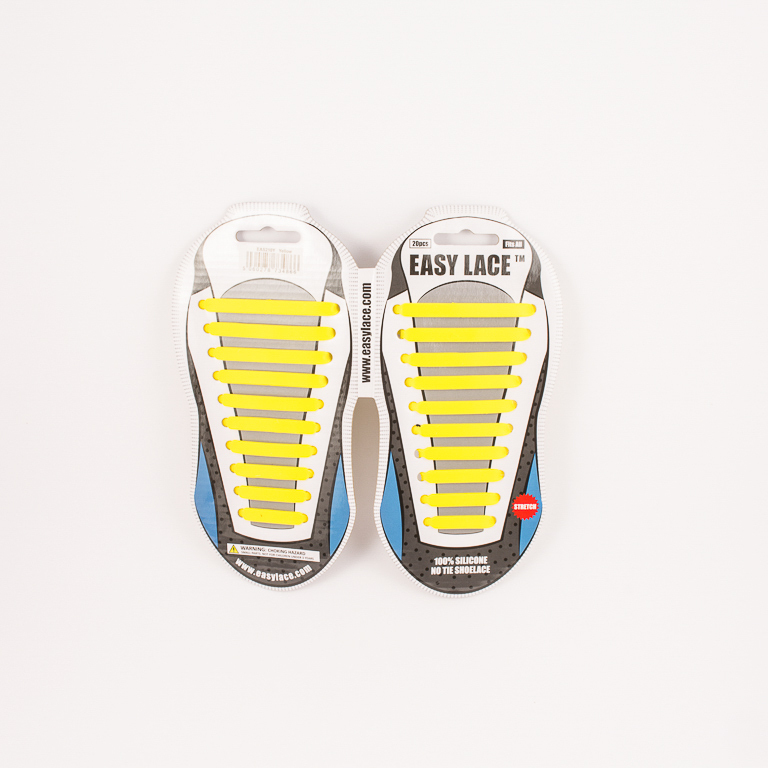 Shoe laces "Easy Lace" made of silicone in yellow color. No tying needed. The pack contains 20 pieces.